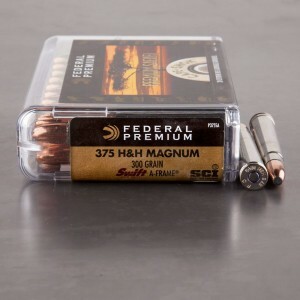 375 H&H Magnum ammunition is also known as the 375 Holland & Holland magnum and is an immensely powerful round designed for the European hunting market. Holland and Holland designed numerous firearms and cartridges, and have long been considered a premium brand. 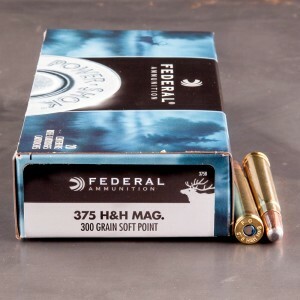 The 375 H&H magnum is one of the most popular medium bore cartridges in the world. 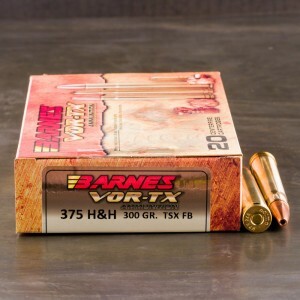 The 375 H&H Magnum was only the second round to feature a now standard feature called a belt. These belts aided in headspacing and acted as a safety design to prevent over-insertion. 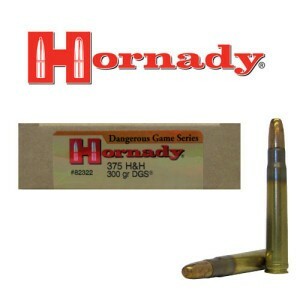 In most African countries the 375 H&H Magnum is the minimum standard necessary for hunting most game. 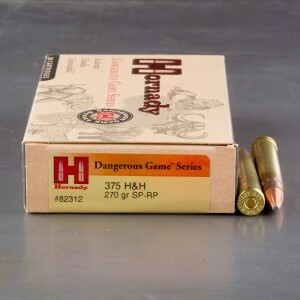 When using lighter rounds like 200 grain, you can expect a muzzle velocity of around 3,000 feet per second you have a round capable of medium to long range, accurate cartridge. 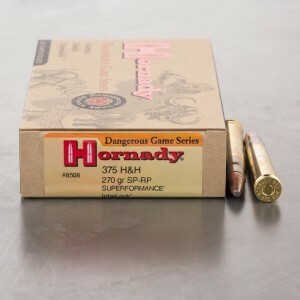 When loaded with heavy 300 grain rounds 2,600 feet per second is considered normal. The 375 H&H Magnum has inspired dozens of different variants for African game hunting and is a symbol of western influence the world over.